Waterfall edge countertops are a popular choice for kitchen islands and bathroom countertops. A waterfall edge is defined as a seamless countertop edge that continues the countertop material across the top of the surface and down the side of the cabinetry to the floor. 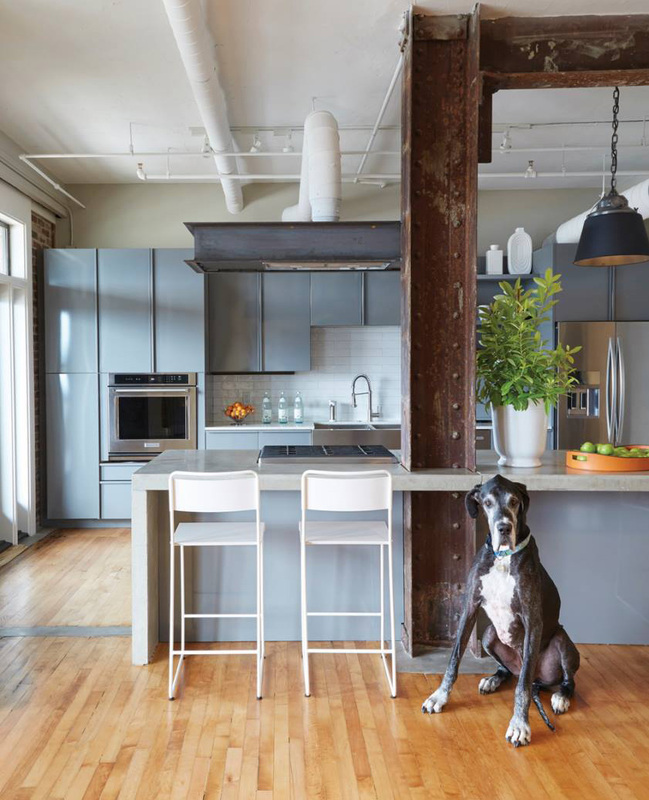 It breaks away from the typical, expected horizontal countertop. The waterfall panel creates a connected feeling between the countertop, the cabinetry and the flooring. Waterfall edges, also known as risers or waterfall end panels, combine contemporary and traditional styles to create a clean look. Waterfall edge countertops are most popularly added to kitchen islands, but can also be used on corner cabinets, and in bathrooms. The waterfall end panels are useful to hide appliances that are placed at the end of counters. The designs of waterfall end panels can transform a contemporary kitchen to a modern, luxurious style. The most popular materials used to create a waterfall edge are marble, granite, and quartzite. Surface One fabricated the waterfall marble island in the featured image for Byrom Building Company. This 2016 GBAHB Parade of Homes award winning home is located in the Preserve in Hoover, Alabama. The kitchen features a custom designed waterfall edge countertop made of Alabama White Marble. 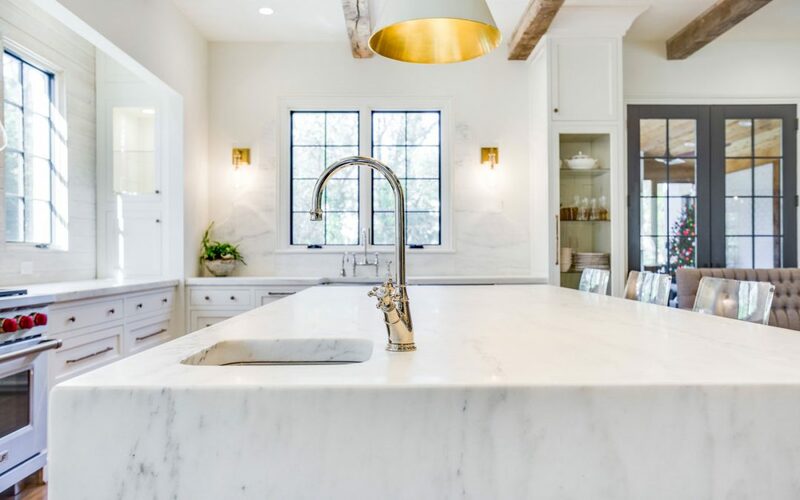 Surface One can finish waterfall countertops with a seamless edge so the countertop appears to be one continuous slab that runs horizontally across the top of your cabinets and flows vertically down to the floor. Surface One utilizes specialty equipment to fabricate a 45-degree mitered edge to create an almost invisible joint line for a clean, seamless look. The clean edges are a beautiful way to showcase sophisticated countertop materials. For more examples of Waterfall Countertops read this article on Houzz, “Kitchen Design: 8 Ways with Waterfall Counters“. Turn your kitchen island into a focal point by adding waterfall edge panels that cascade to the floor. Surface One can add waterfall end panels to your countertops and create the perfect statement piece for your kitchen. Contact Surface One and our design team will help you choose a waterfall design and material for your home or office.